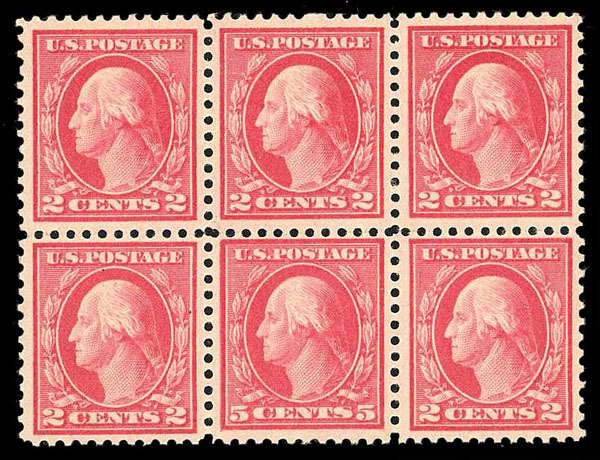 United States, 1895, 2¢ Carmine, Type III, Plate Block of 6, #267, n.h., bottom imprint #777, weak perfs, Fine. 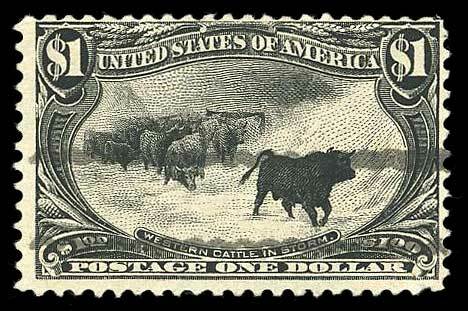 United States, 1898, $1 Trans-Mississippi, #292, o.g. (h.r.) and paper adherence, small tear at left and top, Fine to Very Fine centering. 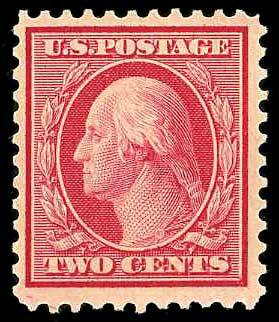 United States, 1898, $1 Trans-Mississippi, #292, target cancel, Fine to Very Fine, with 1999 P.S.E. certificate. 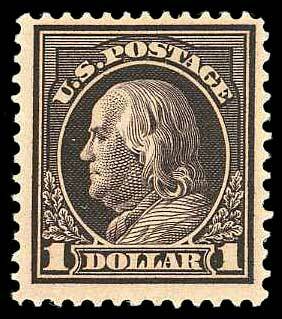 United States, 1898, $1 Trans-Mississippi, #292, used, small faults, Fine appearance. 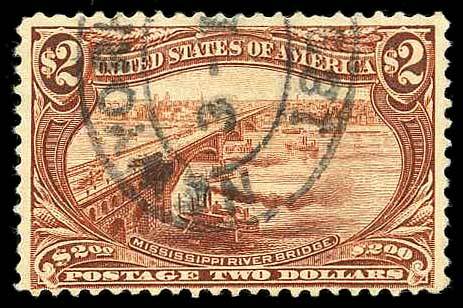 United States, 1898, $2 Trans-Mississippi, #293, oval cancel, Fine, with 2003 P.S.E. certificate graded 50. 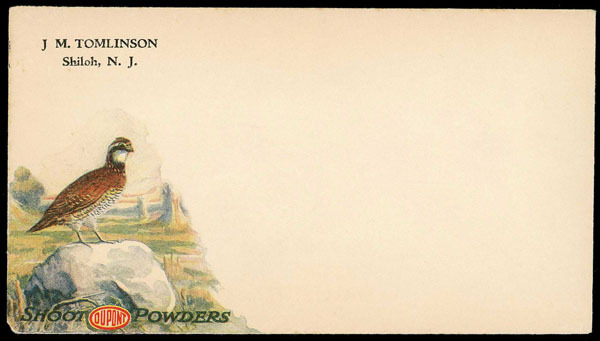 United States, Circa 1900 Mint Dupont Multi-Color Advertising Cover, Unaddressed with Tomlinson corner, along with "Shoot DuPont Powders" and illustrated back (#A-2069), Very Fine. 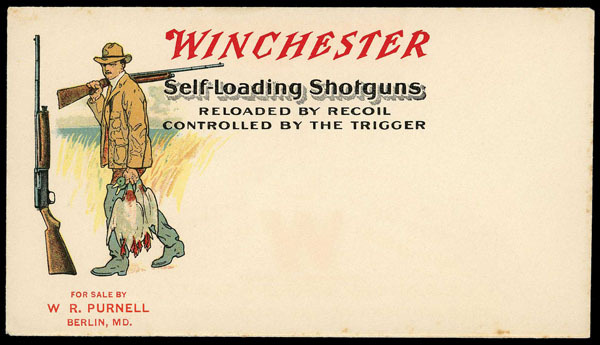 United States, Circa 1900 Mint Winchester Multi-Color Advertising Cover, Unaddressed for Winchester Self Loading Shotguns and illustrated back; slight tone spots, otherwise Fine to Very Fine. 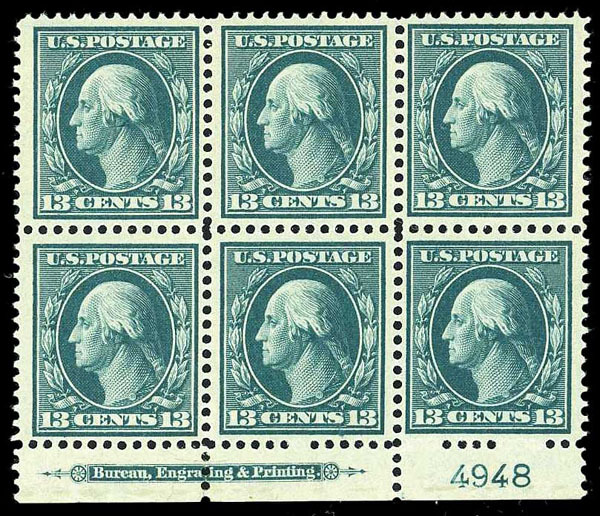 United States, 1909, 13¢ Blue Green Plate Block of 6, #339, bottom margin with pl. #4948 and imprint, Fine to Very Fine. 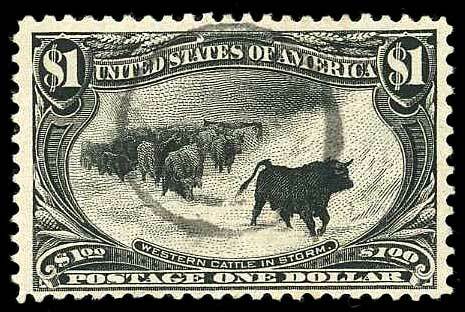 United States, 1910, 4¢ Orange Brown, Vertical Coil, #350, n.h., traces of joint line at bottom, well centered, Very Fine. 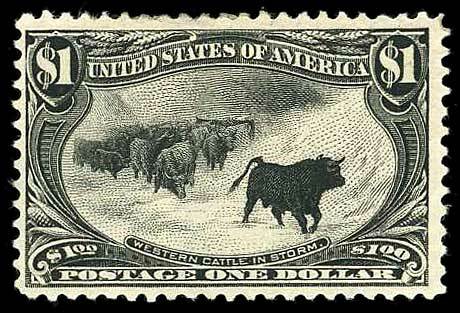 United States, 1911, 8¢ Olive Green, #380, o.g., bottom pl. #4923 with imprint, Fine. 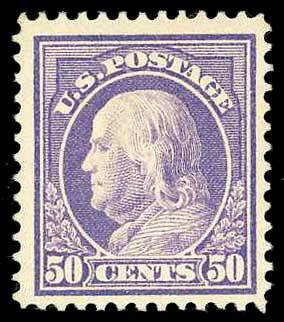 United States, 1914, 50¢ Violet, S.L. Watermark, #421, o.g., Fine or better. 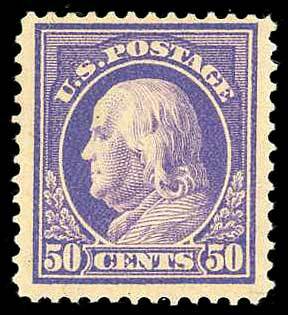 United States, 1912, 50¢ Violet, D.L. Watermark, #422, n.h., Fine to Very Fine. 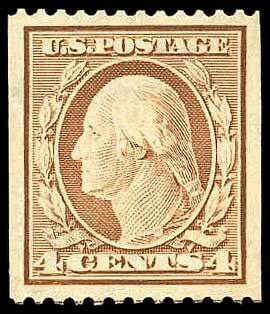 United States, 1912, $1 Violet Brown, #423, o.g., pencil notation on reverse, Fine to Very Fine. 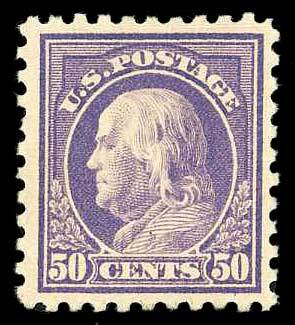 United States, 1915, 50¢ Violet, #440, slightly dist. o.g., nicely centered, almost Very Fine. 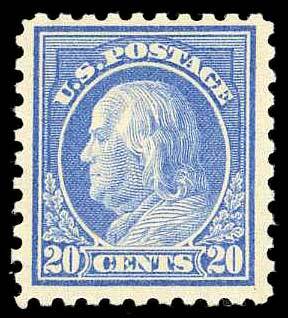 United States, 1916, 20¢ Light Ultramarine, #476, n.h., fresh, Fine to Very Fine. 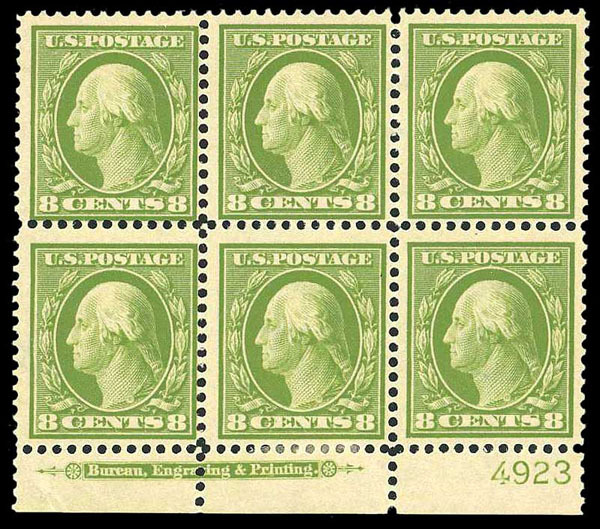 United States, 1917, 5¢ Rose Error, Single in Block of 6, #505, n.h., Fine to Very Fine. 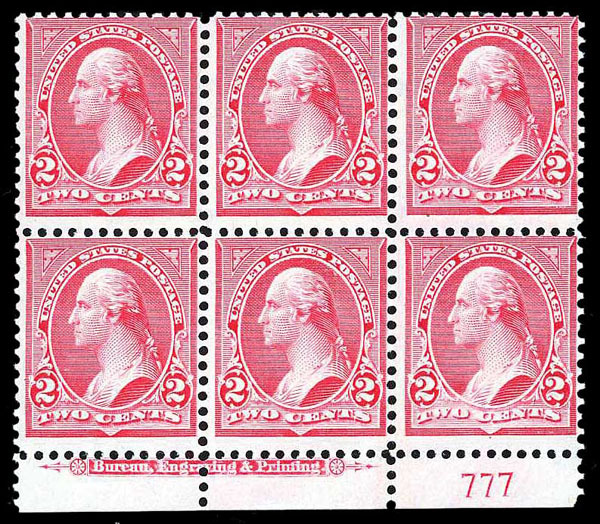 United States, 1917, 2¢ Carmine, D.L. Watermark, Perf 11, #519, l.h., Fine to Very Fine, with 2019 P.S.E. certificate. 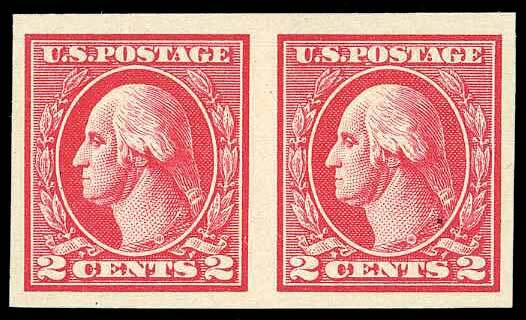 United States, 1918, 2¢ Carmine, Offset Imperf, Type V, Pair, #533, n.h., nice margins all round, Very Fine. 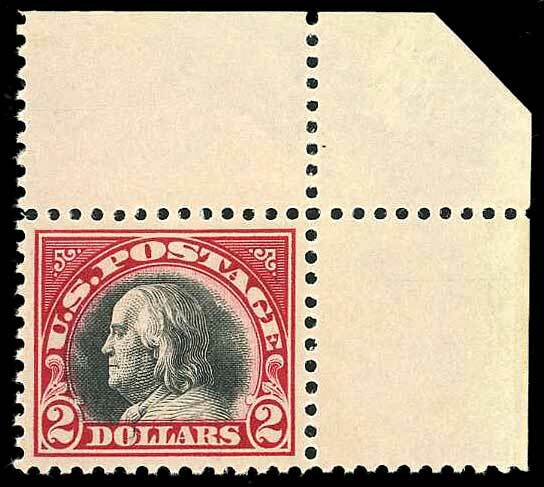 United States, 1920, $2 Carmine & Black, #547, n.h., corner single, pencil "547" in selvage, Extremely Fine to Superb, with 2019 P.F. certificate grade 95. 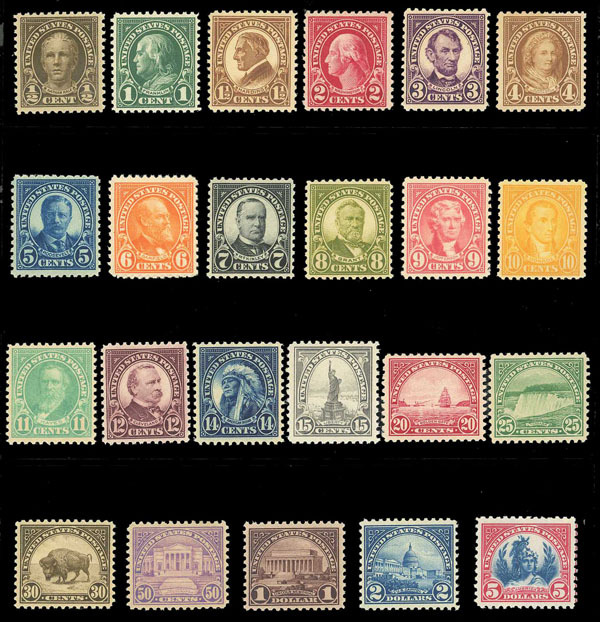 United States, 1922-25, ½¢ to $5 Complete, #551-573, n.h., Fine to Very Fine. 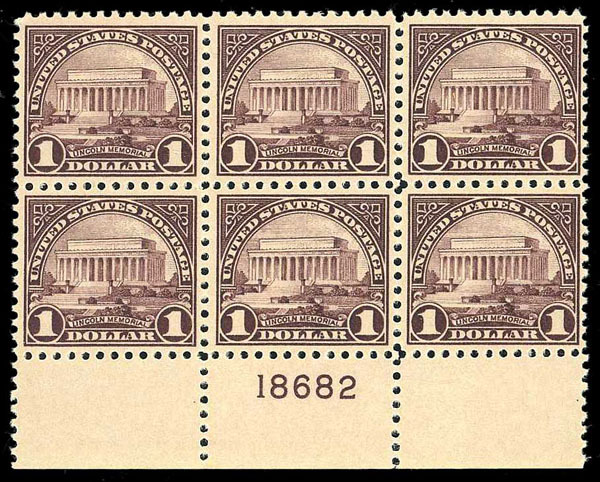 United States, 1923, $1 Violet Black, Plate Block of 6, #571, n.h., bottom #18682, small gum skips, well centered, otherwise Fine to Very Fine.